I have another page about using VisualVM which is much more convenient to use. 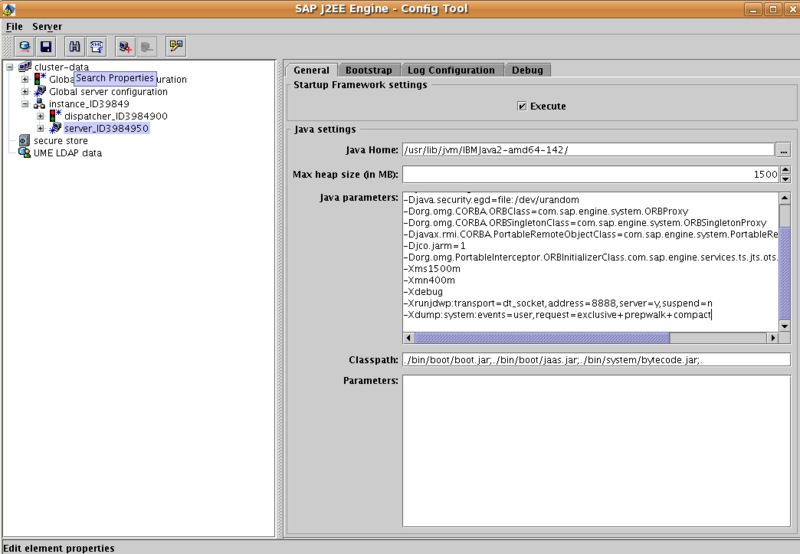 So, if you are running SAP J2EE with something older than that, you will want to upgrade. On our 64bit Linux boxes(x86_64) we use the IBM JVM 1.4.2, i was at 14.2.9 so had to upgrade it. 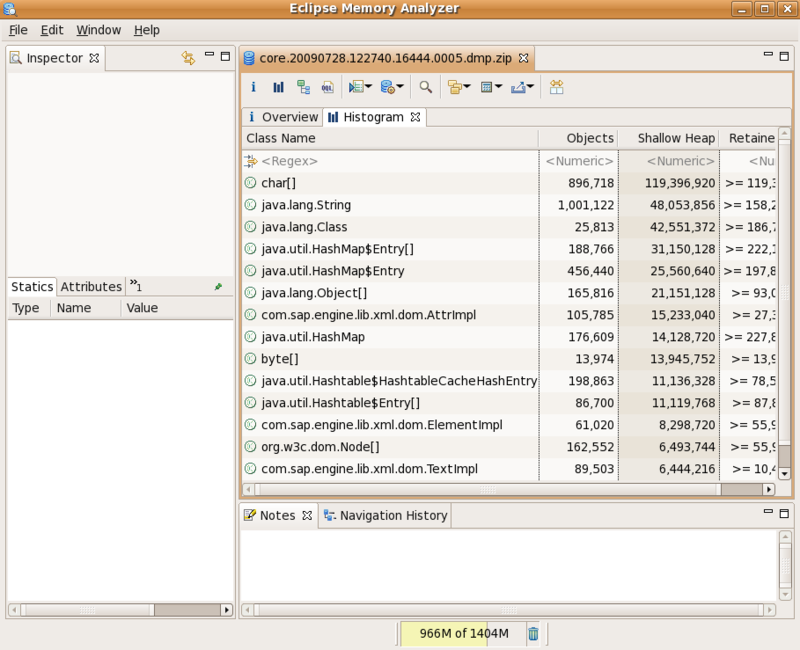 If you have already 1.4.2.12 or better, skip to #Installing Eclipse Memory Analyzer. Now because I use an IBM JVM i need a special add-on because IBM dumps are in a different format that Sun's. In MAT menu click Help / Software Updates / Find and Install. Select "Search for new features to install" and click Next. Select "New Archived Site" and provide matdtfj.zip then click "Finish". Click the checkbox of "matdtfj" and click "Next"
Accept the license & click "Next"
When asked to restart MAT, say "Yes". Use with care, and maybe don't leave on production machine ! To get a useful "realistic" Heap Dump you will probably want your application/website to be used either by real people, or using a load test tool. 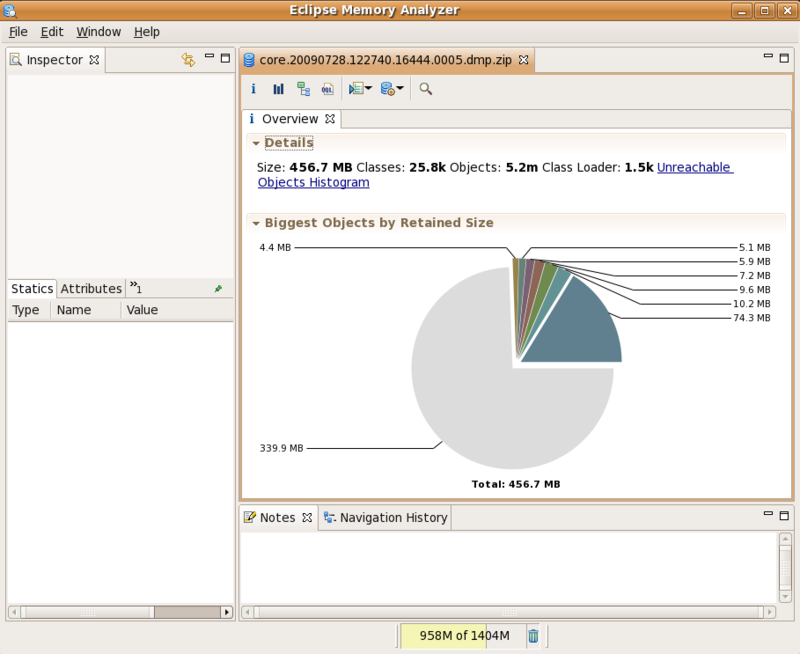 I usually run the JMeter load tool to simulate lots of traffic on the site. Or use top to find it. 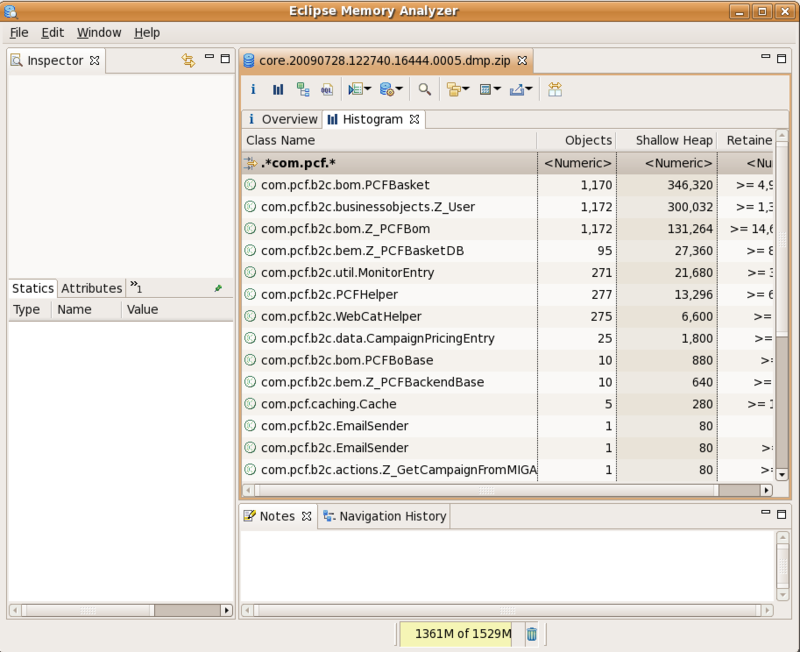 Page on using MAT with an IBM JVM.